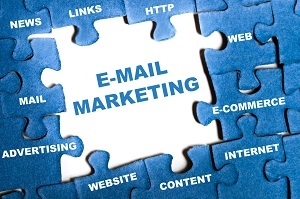 Email marketing is a powerful tool in your box of inbound marketing strategies. Being in contact with leads is an important part of turning leads into clients. 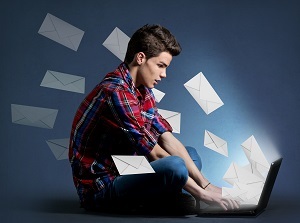 Perhaps you’ve been using email marketing in a number of ways but have never thought of the potential of how to use email marketing to promote your website’s blog. If being in contact with leads is important (which it is! ), then getting leads to subscribe to your blog is also smart. Once a lead subscribes to your blog, that person is allowing your company to put even more content in front of his/her face on a more continual basis. If your blog articles are interesting and educational, a lead who subscribes may eventually become a client because of something he or she reads in a blog post. So, what are we really saying here? Using email marketing to promote your blog is a simple way to create a kind of cycle in your marketing process that will help keep your marketers on their toes and your clients and leads receiving information from your business constantly. Having a great blog is a starting point. Learning how to use email marketing effectively is also a great trait for your company to develop. By tying the two things together you are creating an even more powerful tool. In order to use email marketing to promote a blog, you first need to have a blog to promote. If your blog posts are going to be consistently sent to subscribers, it is vital that their content is well written, informative and engaging. Consider hiring an on-staff writer who can focus all of their attention on producing great content for your company. If you have a blog but no way to promote it, you are not allowing that tool to reach its full potential. By using email marketing to increase subscribers to your blog you are enhancing both of these features and allowing them to work for one another. Promoting a blog through your email marketing campaign can be as simple as adding a checkbox for viewers to be able to subscribe to the blog with one, simple click. This checkbox can be included in an email directly and can also be placed on all of your sites landing pages. Once a lead subscribes to your blog via a marketing email or a page on your site, he or she can be nurtured through the marketing funnel. By adding this check box to your landing pages as well as into your email marketing campaign, you are setting yourself up to not only get new leads but have existing leads move further along in the funnel. Existing leads and even existing clients are most likely to share your blog content, which is always a good thing. Once a user does subscribe to your blog, it is important for you to explain to that lead what he or she has signed up for. This can happen in the form of an additional email. A quick, explanatory email like this is called a welcome email and simply needs to thank the person for subscribing as well as explain exactly what the person will be receiving and how often they should expect it. Including a way for the user to make his or her own decision about the frequency of the emails/ blog articles he or she will receive is also helpful.